What this product does is clean your sneakers without you have to emerge it in water or even use water at all (for certain fabrics you'd need to, we didn't though). How brilliant? 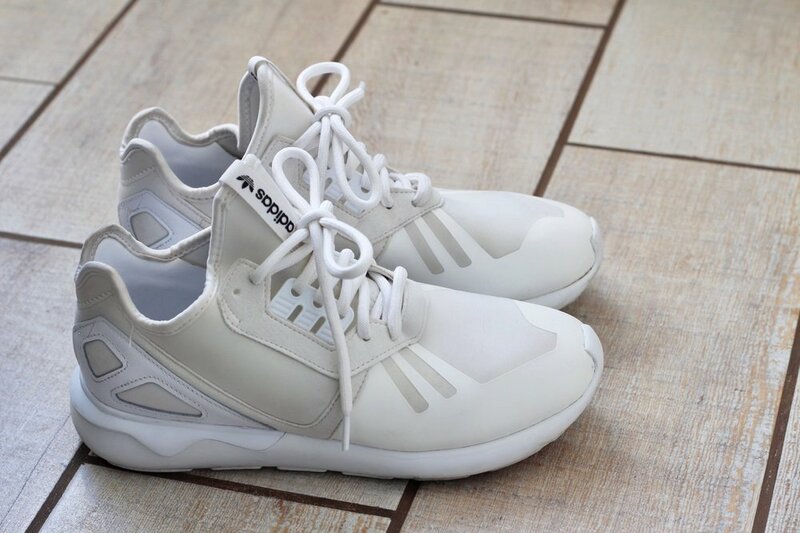 As you can see here are Hishaam's white adidas tubular. This was before we started the process. Use the premium brush and lightly brush off any excess or hard dirt. Take your sneaker cleaner and spray a generous amount all over the sneaker. Grab your brush once and lightly start brushing the sneaker in a backward and forward motion. For fabrics that are a little softer and can't handle this, you can add some water to the brush and wash it that way, it keeps the fabric from spoiling. Use a cloth or microfibre cloth to wipe down the sneaker. As you can see here, we used one of the sneaker lab white just to give it that extra clean. These wipes are pure magic and work like a bomb on fabric. I think I'm the most excited about this product. Once you're satisfied that they are dry, take the sneaker protector and spray it over the sneaker. This is used for extra protection from everyday dirt and grime and helps your sneakers stay clean for longer. It is a water-based treatment that acts as an invisible protective barrier and isn't damaging to your shoes at all. Lastly, you can use the odor protector just to give it that fresh smell. Right here you see the before and after images and the difference is remarkable. We basically spent about 15 minutes cleaning the one pair of sneakers and then Hishaam went on to do all his others. Here I just wanted to show you guys how amazing the wipes are. I only used the wipes to clean my sneakers below. The weekend before I was at the Zando Cape Town 10s and as you can see I spilled many things on my sneakers. I used one wipe to clean them, these wipes are absolute magic and you can buy them directly here. 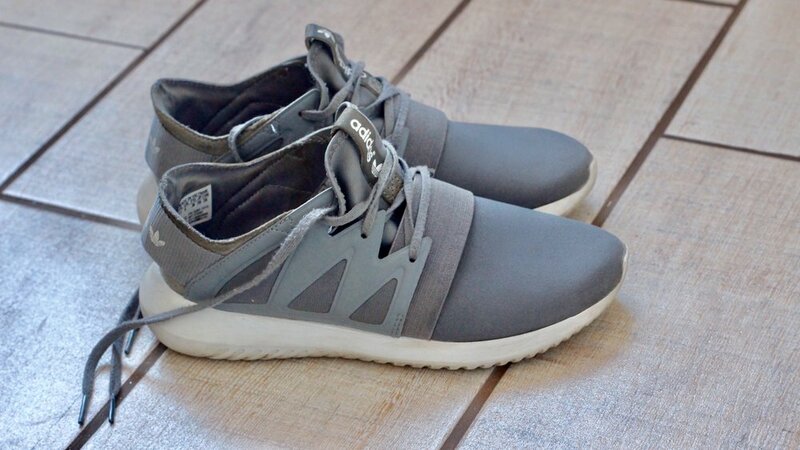 Sneaker Lab's products are so affordable, you'll never worry about a dirty sneaker again. This product is absolutely amazing and I'll recommend it ten times over to anyone. You guys can thank me later! *Make sure your profile on Instagram is open so we can see your entry. Private accounts won't show up. Winner announced on the 21st of February. Good luck!